Photos of the academic session 6th Nov. The lectures and practical schedule has been completed and the final examination will be held on Thursday 19th Sept. 2013 at the Sri lanka School of radiography Lecture Hall. The scheduled lectures completed with The CT Angio and CT of Neck and spine lecture on 13th may 2012. Following Consultant Radiologists contributed to the programme. A special feature was the lecture delivered by Mr Sunil Balasooriya, Nuclear Medicine Technologist, now work in UK, on SPECT/CT and CT anatomy of Abdomen. He also donated the due lecture fee back to the society. Dr. Sunil Kulatunga (Head, Department of Nuclear physics, UNiversity of Colombo) covered the theory part of the subject. Dr. Ajith Malalasekera, from the department of anatomy, faculty of Medicine conducted the cross sectional anatomy lectures. 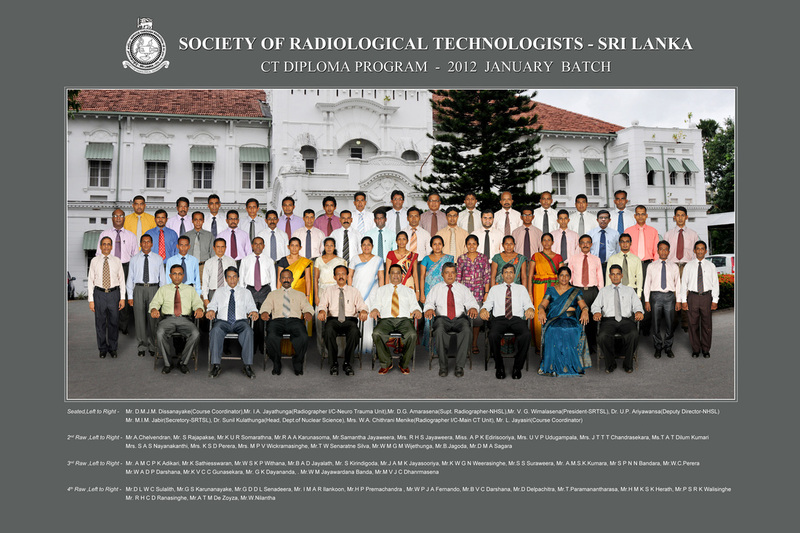 The Final evaluation test was held on 1st July 2012 at the Sri Lanka School of Radiography. Two invigilators from the ministry of health assisted the Principal School of radiography to conduct the examination. A special feature was the lecture delivered by Mr Sunil Balasooriya, Radiological technologists, now work in UK, on SPECT/CT and CT anatomy of Abdomen. He also donated the due lecture fee back to the society.